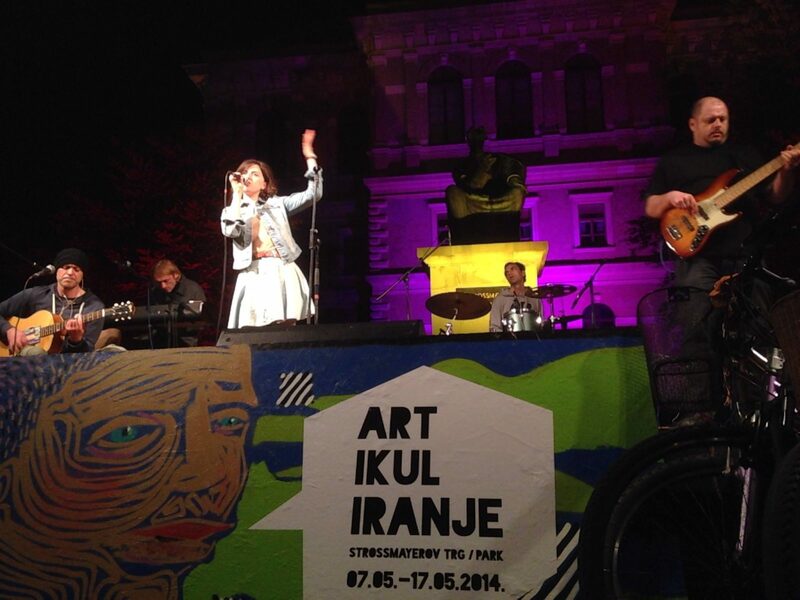 Artikuliranje (Articulating) is one of the most well received new events in Zagreb in the last couple of years, becoming an instant hit from day one when they started three years ago. 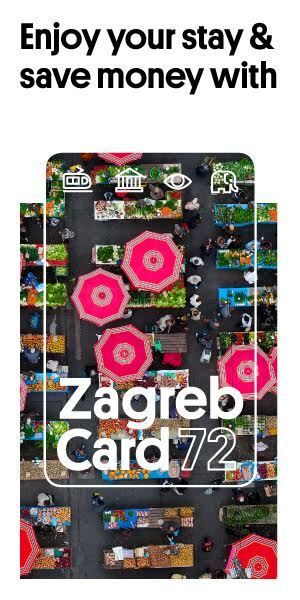 Partly because its made by the same folks who started Fuliranje, one of the more popular events on Advent in Zagreb, copying the successful formula to a spring slot, and partly because of the novelty of its location – Strossmayer square. The location itself is not new – it’s one of the oldest squares in downtown Zagreb – but it had the misfortune of being tucked away between Zrinjevac park and Tomislav square, two of the most frequent places in the area. Being hidden from street view on all sides by lush bushes and historical buildings didn’t help either. Until it did. Artikuliranje turned the square’s weakness into its strength, creating an event that feels both intimate and opened at the same time, and made us, the locals, rediscover a beautiful square that stood right in front of our noses. Artikuliranje combines evening open air concerts and afternoon talks with local artists, different workshops for kids and a small fair consisting mostly of stands from local diners, craft bars and artsy manufacturing souvenir shops. Its greatest strength, however, is the calm atmosphere in the heart of the city, perfect for grabbing a daytime drink, chilling on the sun and having small talk with strangers next to you while jazzy background music plays throughout the day. The event was supposed to start on Thursday, but due to bad weather the opening was moved to Saturday, April 30th, and will be opened until May 8th. 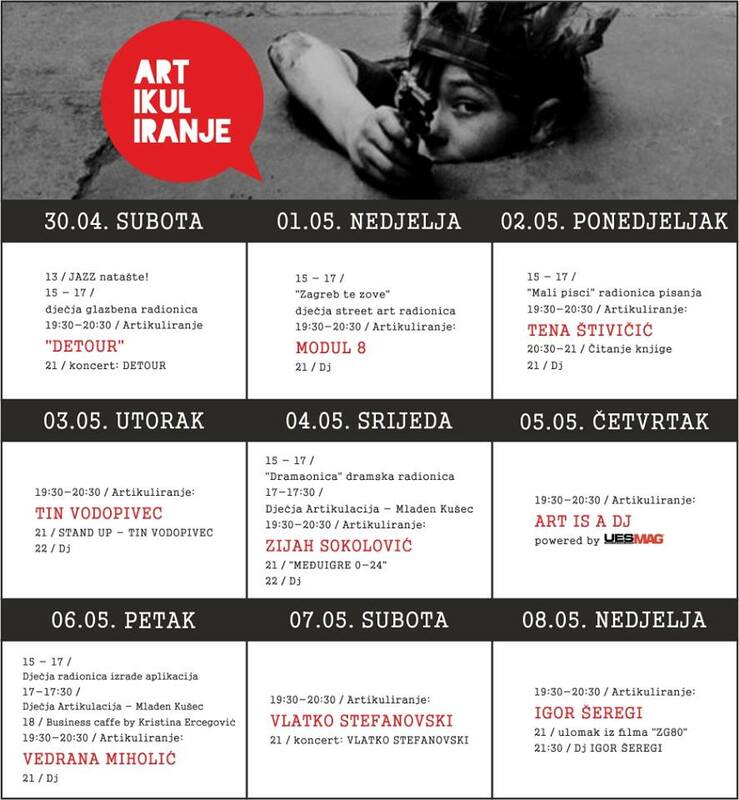 All the events on Artikuliranje are free of charge. Artikuliranje opens at 9 pm with a concert from Detour, a band we humbly recommend you check out if you have the chance.